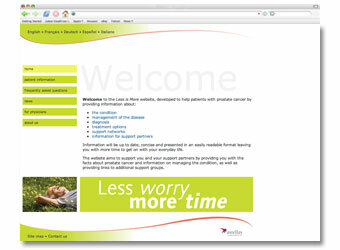 Brief: Design and develop an informational website about Prostate Cancer for a European wide audience. Solution: Due to the sensitive nature of subject matter, and because a large proportion of website users would be elderly (and potentially new to the internet) it was important that the design for this site was as legible and easy to use as possible. Likewise, the site was developed in PHP to ensure language files could be updated and changed with ease.